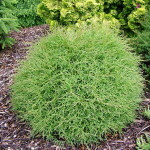 A mounded, slow-growing, dwarf shrub. Stringy, whip-like golden yellow foliage. Retains good yellow color throughout the year. 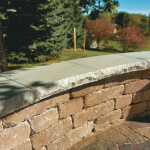 Excellent for rock gardens, foundation plantings, slopes, and border fronts. 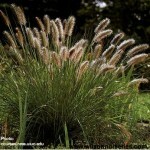 A favorite for stately lawn specimens and tall screens. 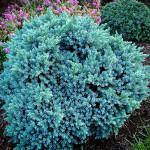 Glowing blue-green foliage on a densely branched, broad pyramid form that maintains its natural form well with practically no pruning. Clipped topiary forms make a wonderful formal accent in entrances or on patios. Evergreen. Very large, upright juniper. Fast growing and hardy. Great for screens and borders. Bluish purple berries in winter. 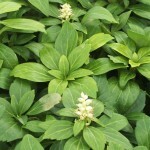 Aromatic foliage when rubbed or crushed. A selected and improved form of Compact Pfitzer with fine, bright green, thick foliage. Vigorous grower with a dense and compact growth habit. 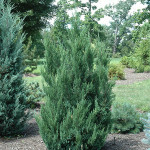 Fine textured evergreen with dark mint-green foliage and low fountain-like arching branches. Holds color well through the winter. 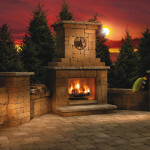 Outstanding form for any landscape. A good low-growing plant with broad-spreading branches. 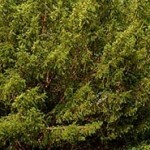 Rich, light green foliage retains its color all year round. 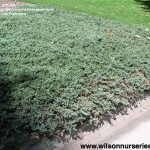 Makes an excellent groundcover or mass planting. 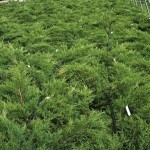 An excellent slow growing Juniper with good silver-blue foliage. Low mounding habit. Moderate growth rate. Similar to Jun. ‘Blue Rug’ but slightly taller. 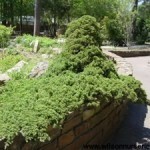 Excellent groundcover useful for erosion control / bank cover, or foundation planting. 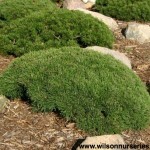 Dense, compact, spreading Juniper with soft, blue-green foliage and arching, plume-like branches. Turns bronze-purple in winter. Good ground cover. Also known as Jun. Horiz. ‘Wiltoni’. 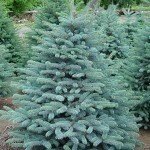 Very low-growing, mat-forming evergreen with silver-blue foliage that becomes a purplish in the winter and retains its color well. Heat tolerant. Grows best in full sun to retain needles. 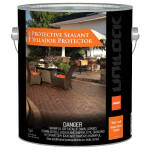 Is good for use in rock, stonewalls and bank plantings, and also as a groundcover. Attractive sparkling blue foliage on dense, spreading branches. 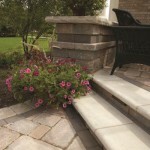 Creates a colorful contrast to purple and green foliage plants. Use in a rock garden or as a low border plant. 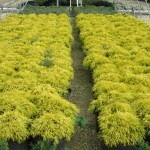 Ideal for mass planting in minimal-care landscapes. 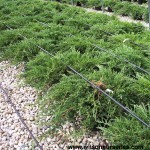 A very low-growing, evergreen, dwarf, trailing (along the ground) Japanese Juniper. Green needles. 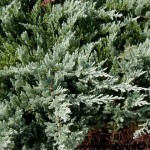 Generally forms a soft, rug-like carpet of evergreen foliage. Tolerates light shade, but does best in full sun. Very useful as a groundcover for level ground or slopes, or for draping over a wall, as an accent in a rock garden or front of a border. Pyramidal form with pendulous branches. 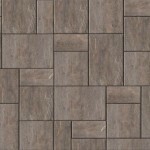 Medium texture. Dark green foliage. Tolerates moist, well-drained soils. Stiff when young, graceful at maturity. Useful as windbreaks and for naturalizing. Rapid grower. Cylindrical cones. 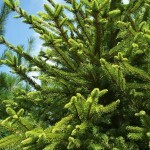 Dense, slow growing, dwarf conical evergreen with soft, very short grass-green needles. Very light, compact growth habit. Rarely will fruit form. 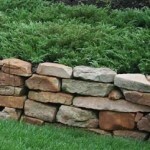 Good for rock gardens, small areas or planter boxes. Very hardy. Pyramidal form. Medium texture. 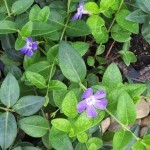 Short, stiff, blue-green foliage. Dense, compact growth habit. Very slow growing. Ordinary soils. 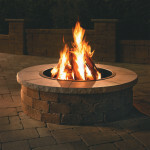 Withstands heat & drought conditions. 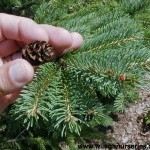 One of the most popular of the Spruces. Pyramidal form which rarely needs pruning. 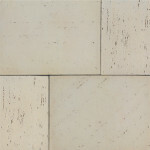 Medium texture. Variable green to blue colored foliage. Stiff needles. 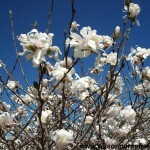 Tolerant of dry conditions and prefers cool soil. A slow grower. Also known as Swiss Mountain Pine. 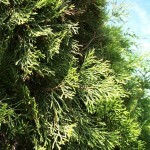 A dwarf conifer with dense branching and dark green foliage. Slow growing. Very tolerant. 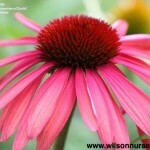 Will do well even in poor soil or rocky conditions. Small tree or large shrub. Green needles are flat & shiny. 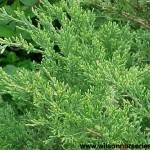 Very adaptable evergreen that thrives in sun or shade. Tolerates city conditions and extensive pruning as well as are pH adaptable. 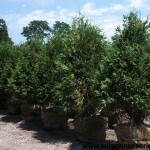 Excellent as a screen, hedge, specimen, foundation or border plant. 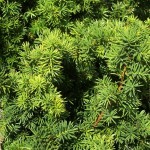 A low-growing, wide-spreading yew with deep green foliage. Shade tolerant. Grows quite quickly with a mounding habit. 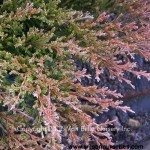 Foliage may take on a coppery bronze-green color in winter. Most popular variety for hedges because it accepts shearing well. A columnar form of yew with vertical branching and uniform habit. 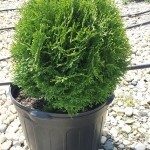 Has dark green foliage and shears easily. Bright red berries in fall. Is narrow when young and will broaden with age. Used primarily for hedges and screens in the landscape. 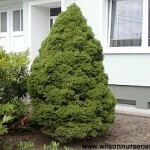 Bright green pyramidal conifer is highly versatile. Fine textured foliage bears a soft, lush appearance. 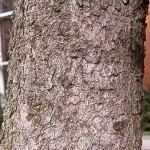 Attractive exfoliating reddish bark. 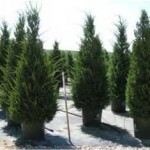 Superior single specimen and a valuable large scale screen, windbreak or background. Tolerates considerable shade. 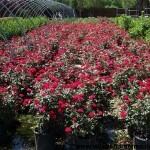 Best with regular watering – weekly, or more often in extreme heat. 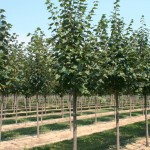 Lacy, fine textured green foliage all year round. 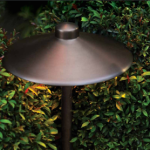 It’s compact size makes it ideal for low hedges, borders or container planting. Prefers well drained soil and has some tolerance to urban conditions. Slow growing. Requires no pruning. 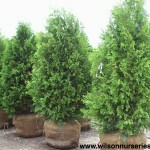 Round, dwarf, mounded arborvitae with soft green foliage. Great for small spaces. Slow growing. Dense, dark green, heavy textured foliage. Holds it’s color throughout summer and winter. Broad based with an upright- pyramidal shape. Holds its shape with minimum trimming. 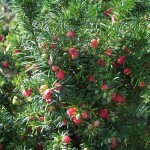 One of the most adaptable and hardy of the upright evergreens. From Denmark. Glossy, emerald green foliage in flat sprays. Compact pyramidal form. Holds color well through winter. Easily grown, tolerating a wide range of soils. Periodic, deep watering is advisable during periods of hot, dry weather. Prune early in the spring before start of new growth. Good as a specimen or hedge. Hardy, feathery, attractive foliage. 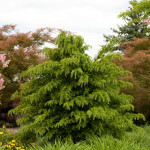 Darkest green of any Arborvitae during the winter months. Broader than the Dark Green Arborvitae. A selection by Mission, Techny, Illinois.